I’ve got one of your favorite things today, Mi. Pooris. With the prompt being “last” I was wondering what to do. I could think of lots of things. Today is the last day of Vidur’s school vacation. School reopens tomorrow. I am on the last legs of my internet usage – what with Airtel sending me warning after warning that I am dangerously close to my quota. Ha. Just a ploy to get me to upgrade. To protest, I simply switched the computer off and got busy in the kitchen. Lots of mint leaves and coriander to separate to prep for chutney and podi. So – I got work done. Then I watched an episode of Columbo – in a half-dozy state with a cup of chai before heading off to a nice long leisurely bath. So double ha ha. It is amazing to think that Vidur will begin Class XI from tomorrow. Phew! How the years fly. I am so very sad you are not with us today, to cheer him on towards a new academic year. Sigh. As always, my head is full of your voice when I am in the kitchen, and I remembered how enthusiastically we would make pooris. I made bhindi (okra) curry with it and since there were two avocados, also made guacamole – thanks to Tanu’s re-introduction to it. I am so blessed to talk to her often. 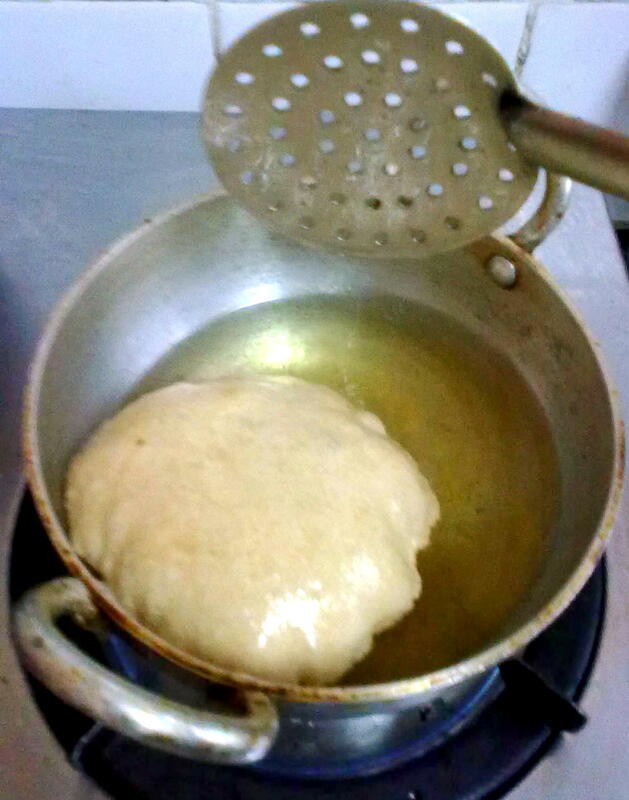 So here we go with a couple of pictures of the last poori frying. And I’ll run off before I get another alert from Airtel. Then I’ll curl up with a book, like we used to, before bedtime. You, Vidur and I. While Sury busily worked at his stuff. Yep! 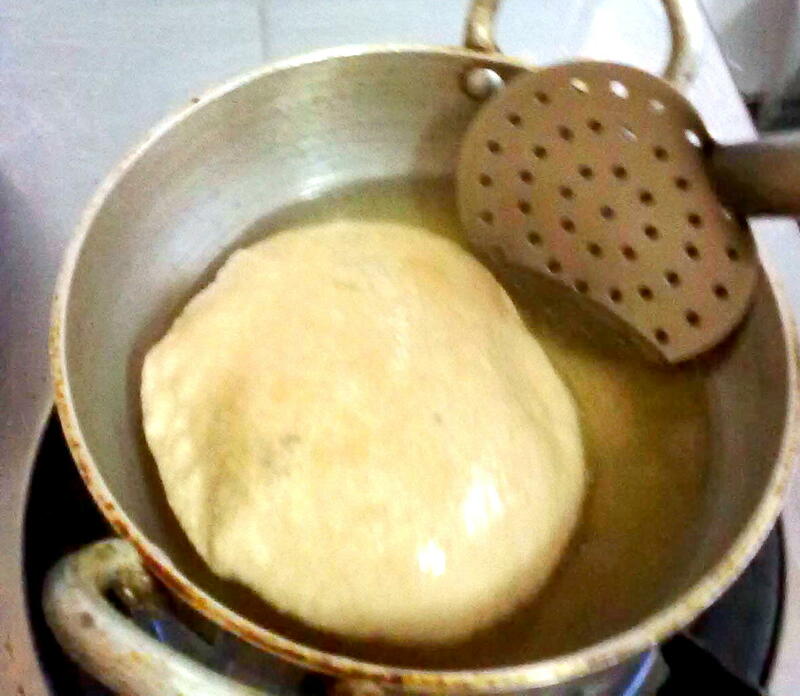 Wasn’t I always good at making pooris? As they swelled in the oil, you swelled with pride! My worst thought when I hear the word “last” is the last time I spoke to you before you were hooked to the ventilator on Feb 3, 2010. My heart is heavy now. aww hugs my sis. my heart is heavy for you. big big hugs. on another note, stick it to Airtel good. slimes they are for trying to charge more. i hope vidur has a great first day! Hugs Vidya. I feel your sadness cos it reminded me of my dad in his last hours hooked up to so many machines. But pooris are yum and yours look perfect.